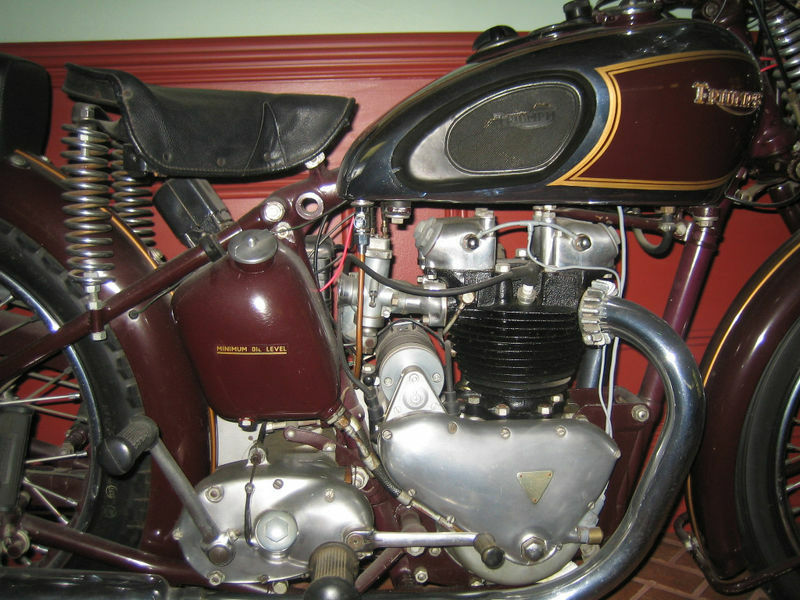 Edward Turner, who had just joined Triumph from Ariel, may not have been the first person to put two cylinders next to each other, but his design changed the British Motorcycle Industry and set the companies course for the next 40 years. 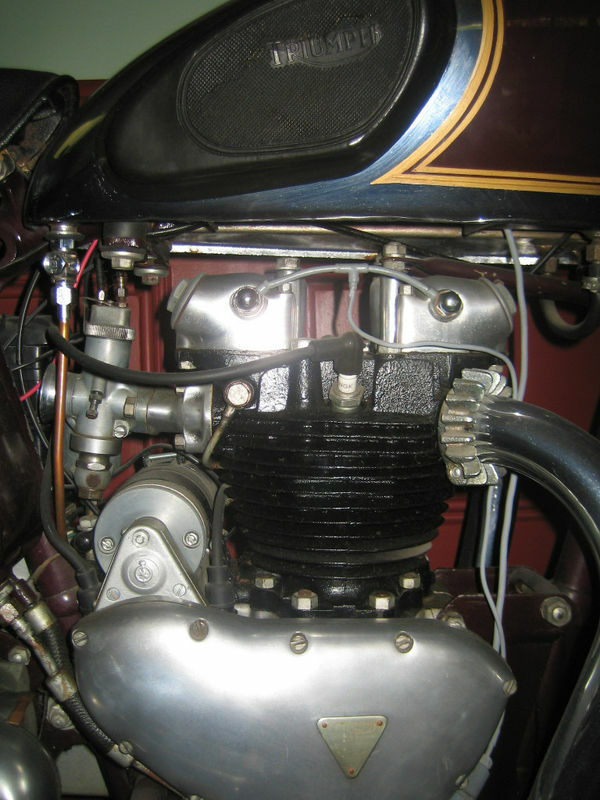 First offered to the public in 1938 the 500cc 5T Speed Twin was a light and powerful motorcycle, and this 1939 offered on eBay is a nice example of the game changer. 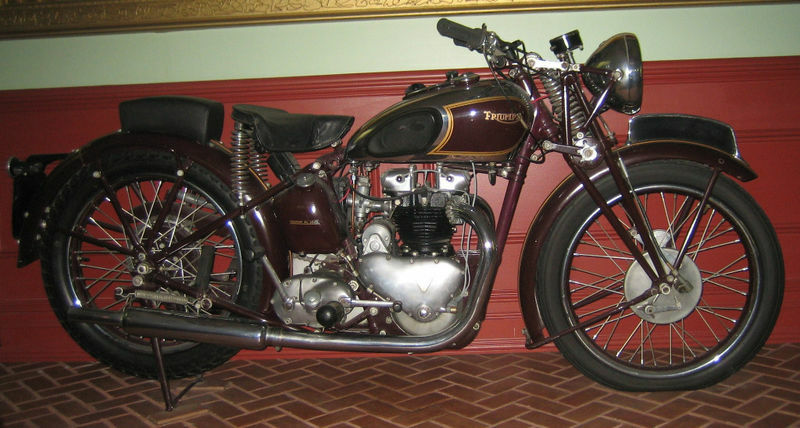 With 27hp at 6300rpm the Triumph Speed Twin lived up to its name, accelerating the rider to 3 times the national speed limit of 30mph. 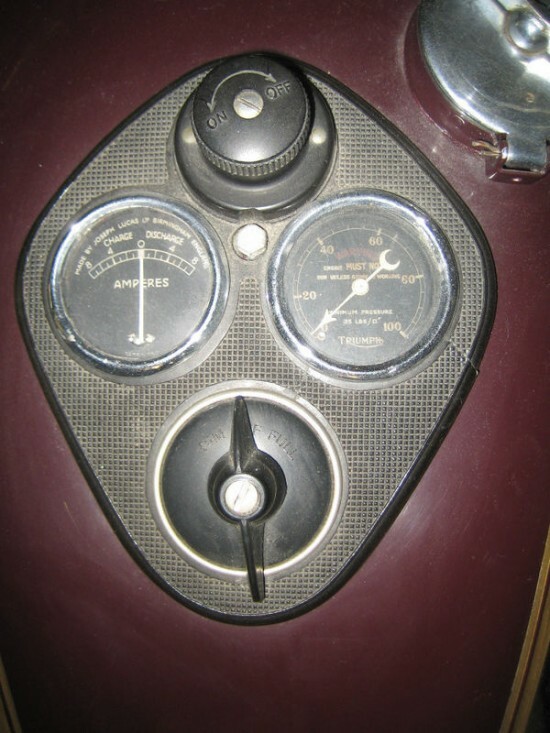 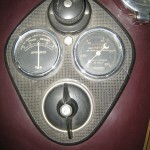 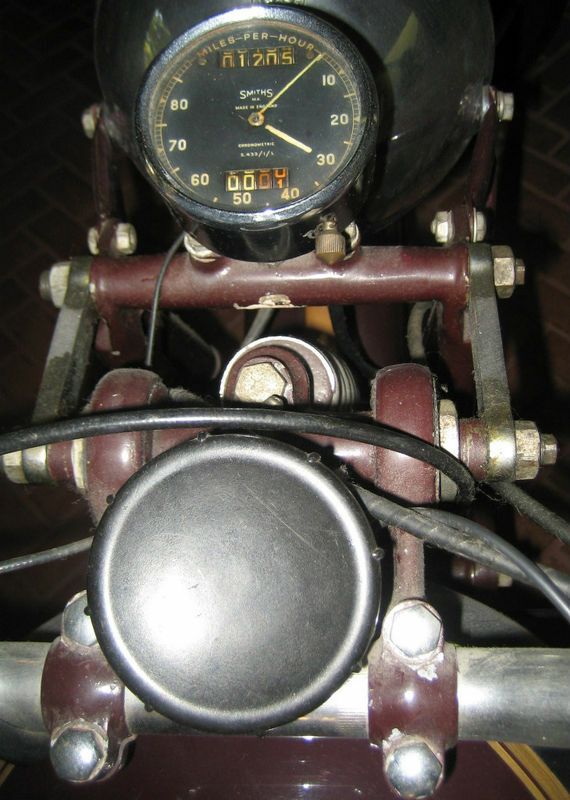 (ever wonder why all early British speedometers have a line marked out to 30mph?) 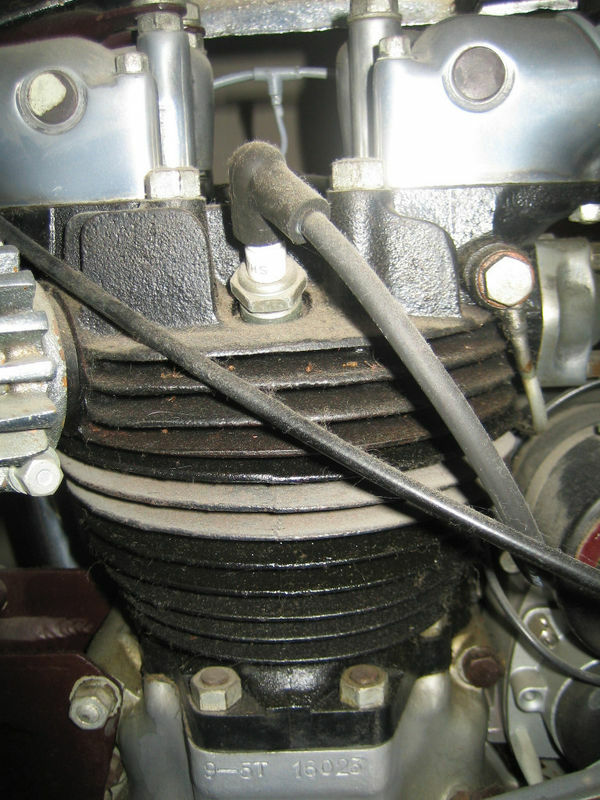 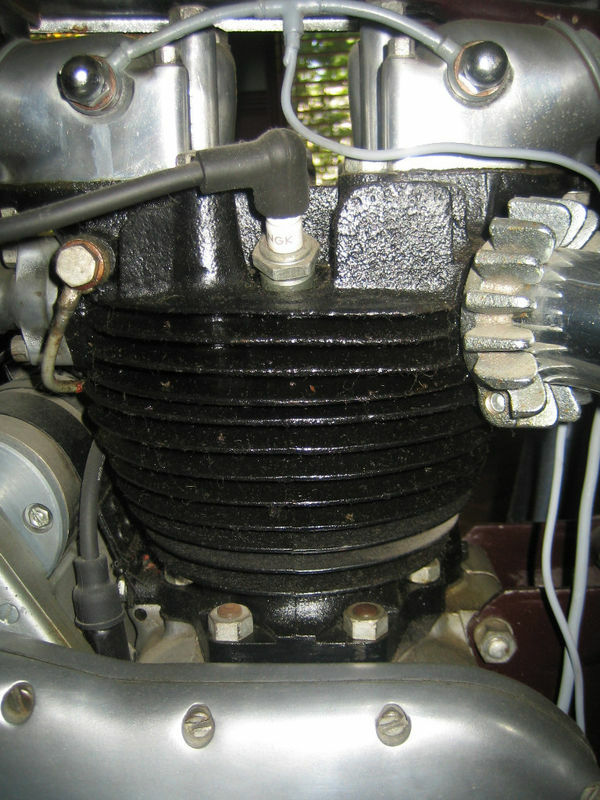 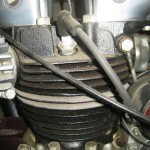 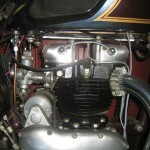 This new engine design, combined with a light for its time frame, gave Triumph the new alternative to the old single cylinder bikes, and the odd v-twin big bore touring bikes. 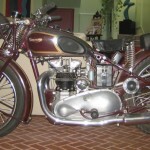 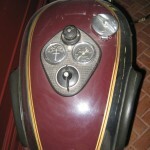 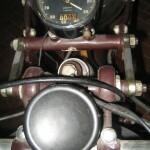 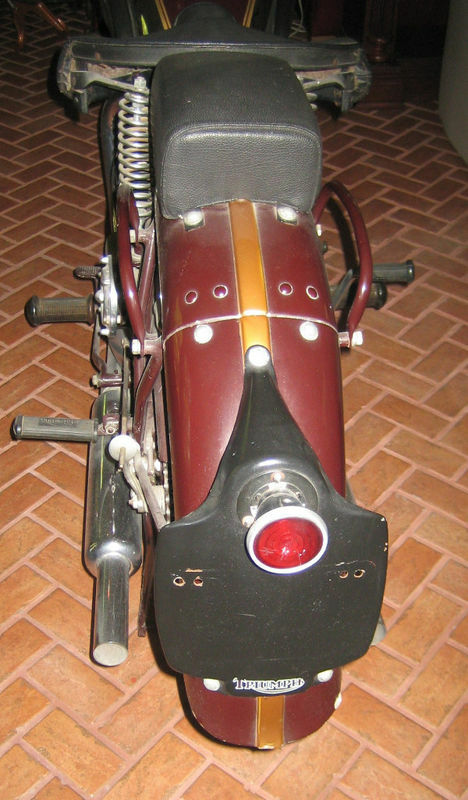 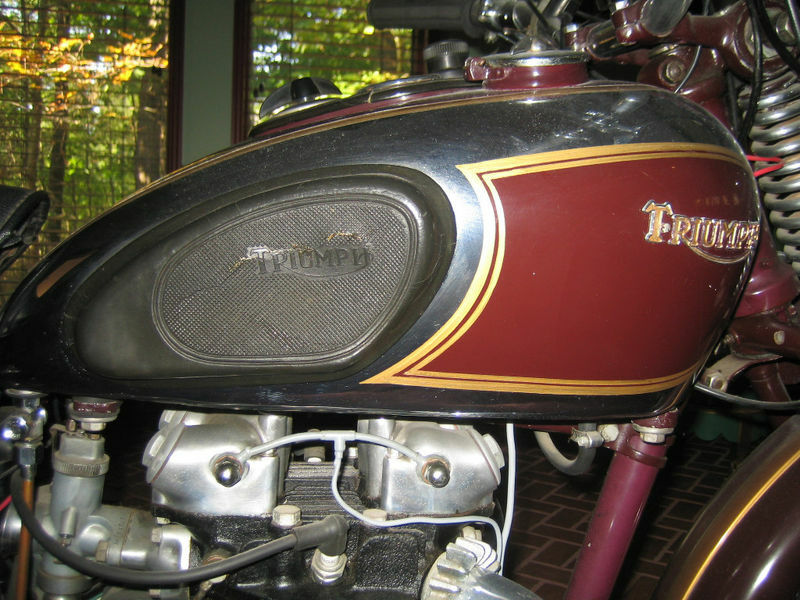 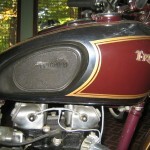 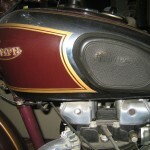 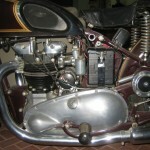 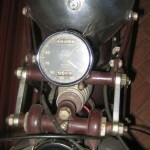 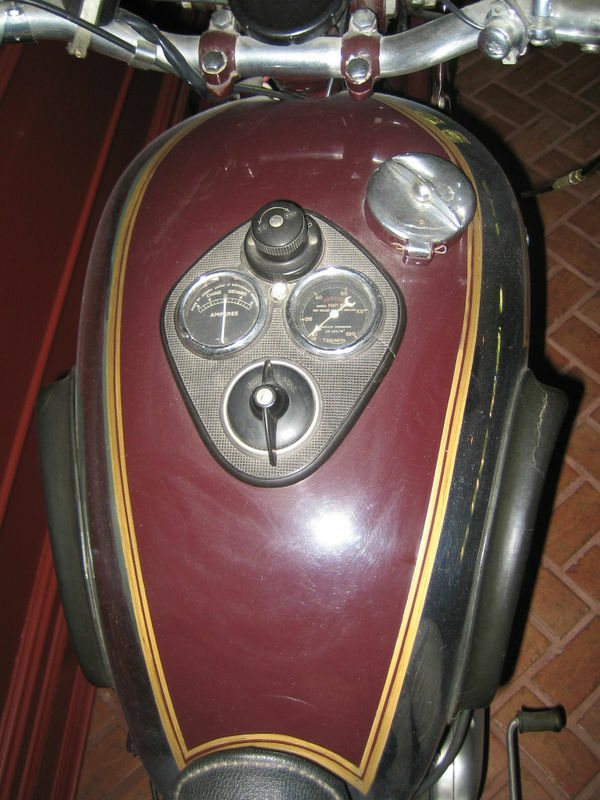 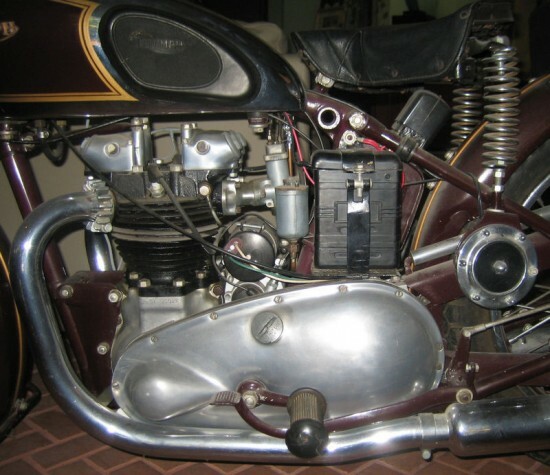 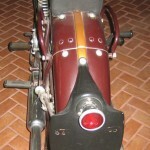 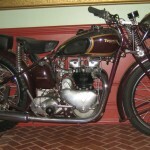 1939 Triumph Speedtwin: Excellent condition has been stored 20 years indoors. 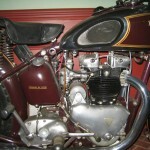 This is not an over-restored bike, but a very correct restoration, which looks factory orginal-none better. 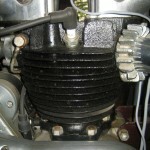 The magneto was completely rebuilt which cost $500.00 I have receipts. 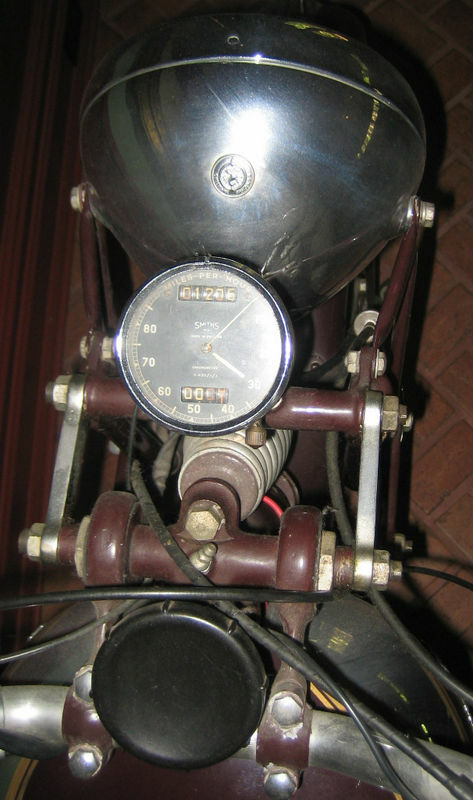 I also have replacement parts catologs. 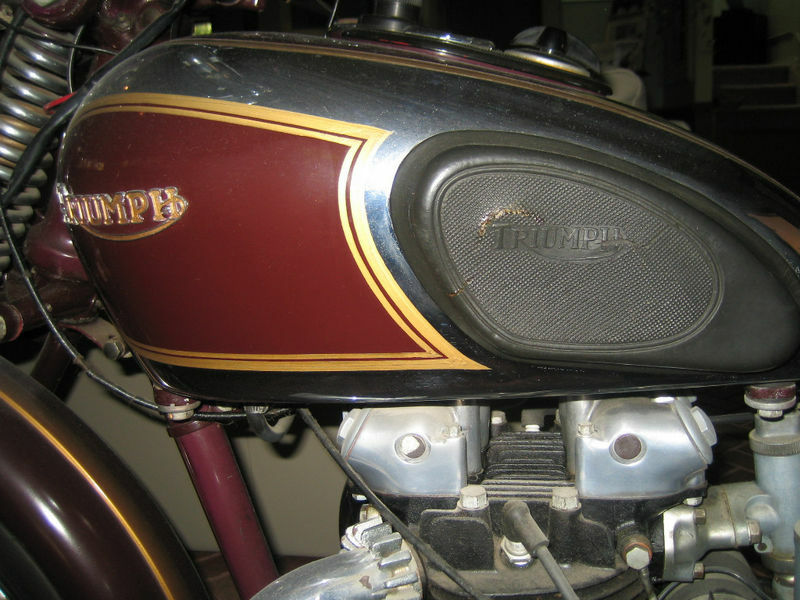 You will not be disappointed with this bike. 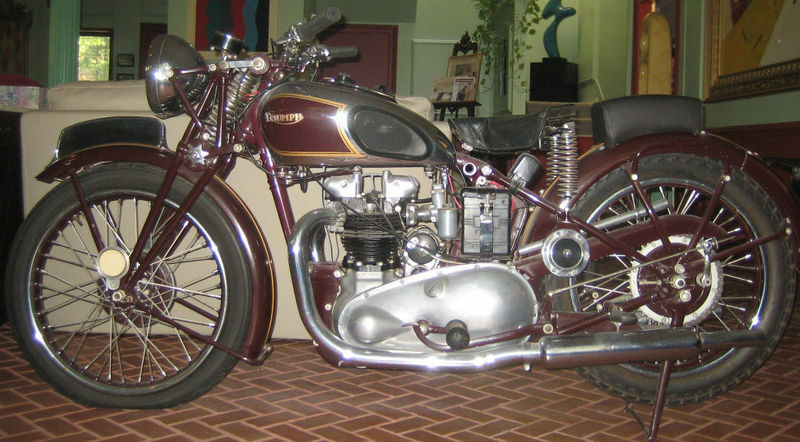 The Speed Twin was first offered in 1938 and continued production (with some destined for military use) until the factory was bombed in 1940. 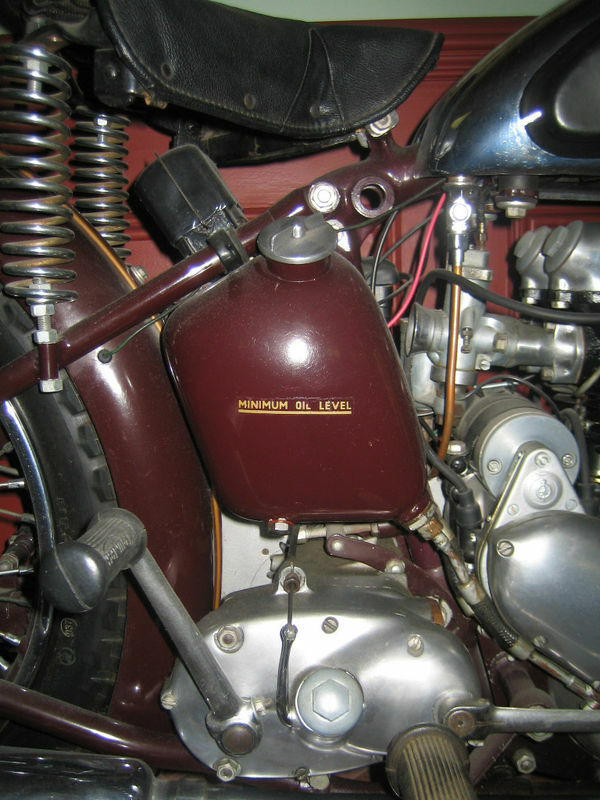 Returning in 1947 and continuing in one form or another until 1959 the 5T set the standard and was what other manufactures looked too when they developed their own parallel twin. 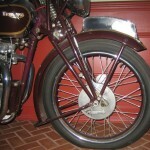 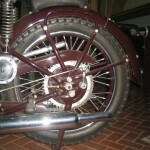 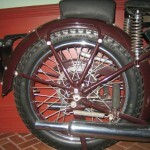 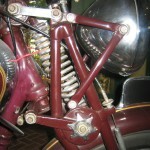 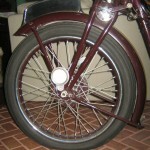 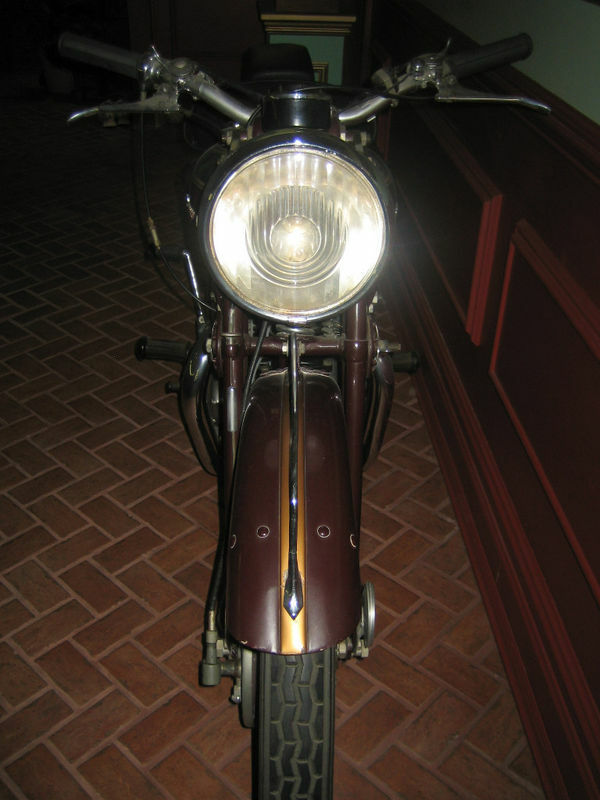 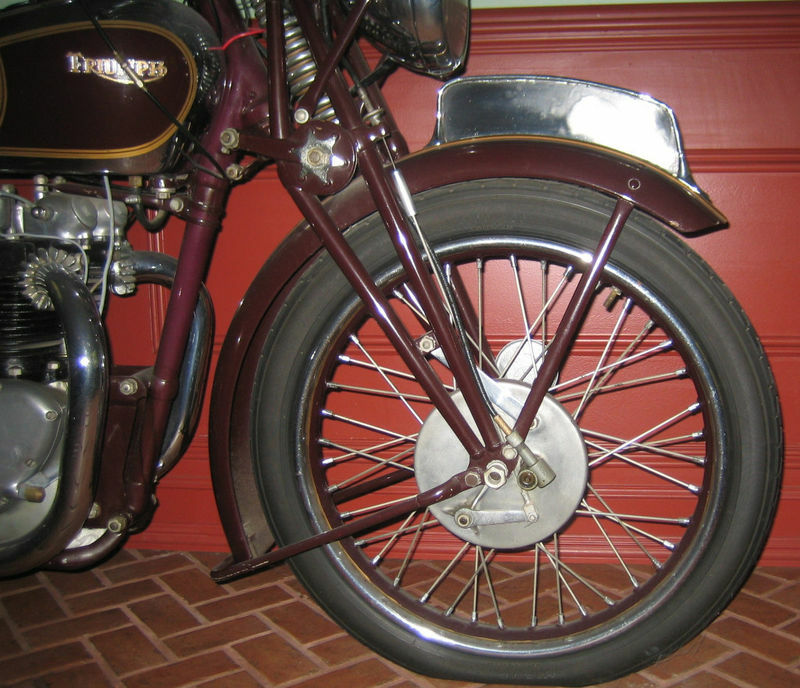 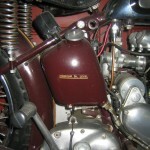 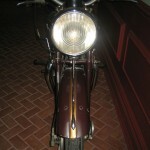 The Triumph received telescopic forks when production started again after the war. 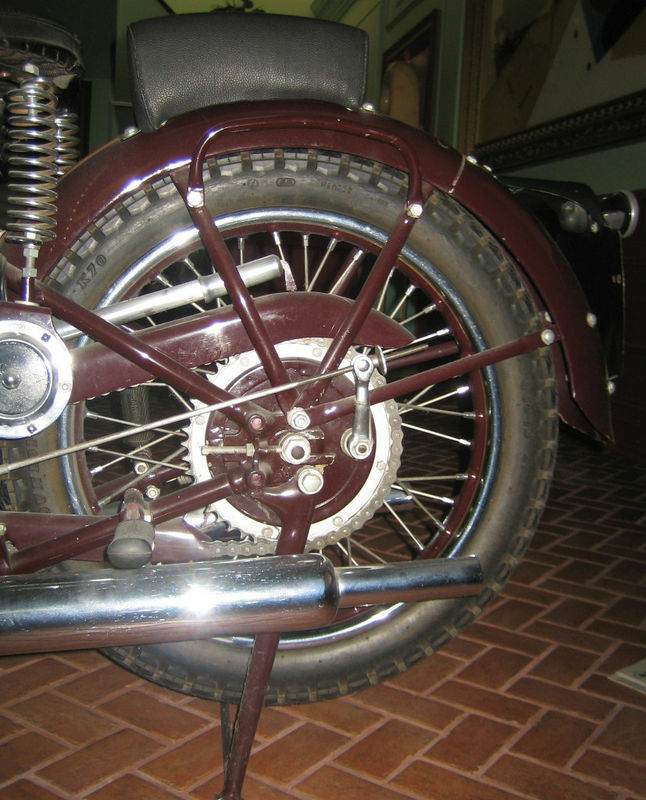 Rear suspension first came in the form of a sprung hub, not the best solution, but the first step towards rear shocks for a swing arm. 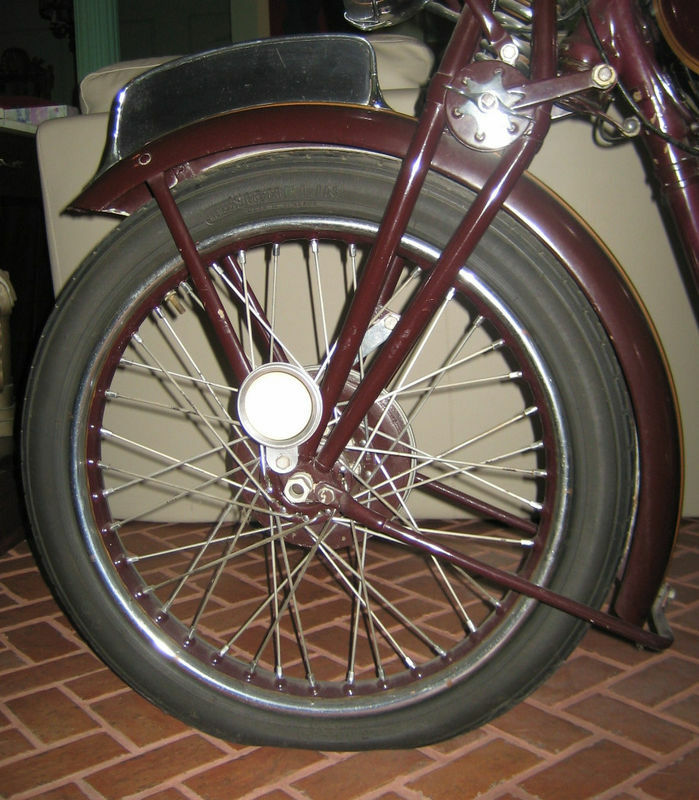 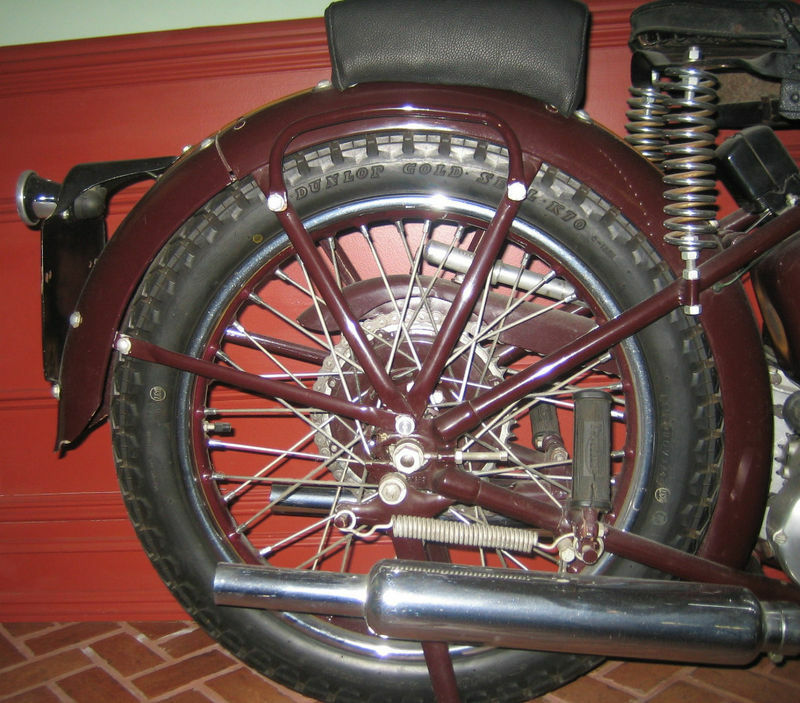 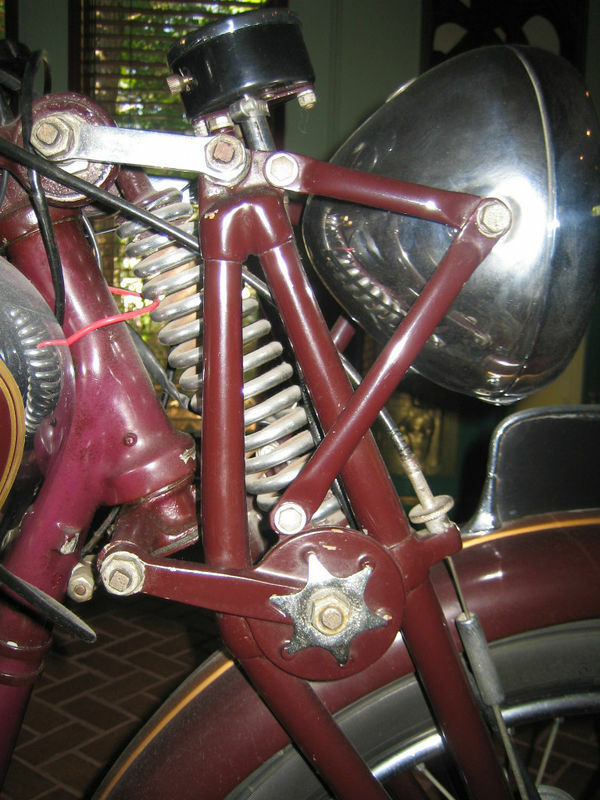 This 1939 model has neither of these and the only springs to soften the road were those under your seat.